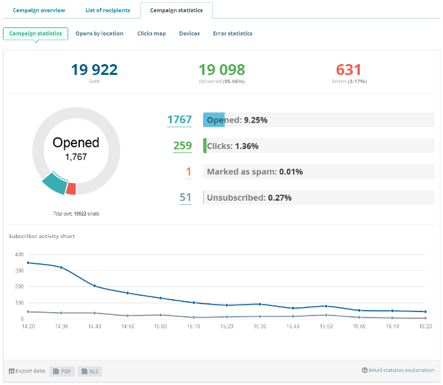 SendPulse is an easy-to-use e-Mail marketing service provider that helps clients send mass e-Mails to all their business clients and subscribers. Services like that provide marketers a means to better and enhance user engagement, as well as increase in profit. Services like this have been around ever since at least a decade ago, and SendPulse isn’t the first to invent such a service either. However, what makes SendPulse services different to any other ordinary e-Mail marketing service though is that, SendPulse also provide their users with many other very unique, and very useful, features such as, bulk SMS messaging, and web-push notifications. 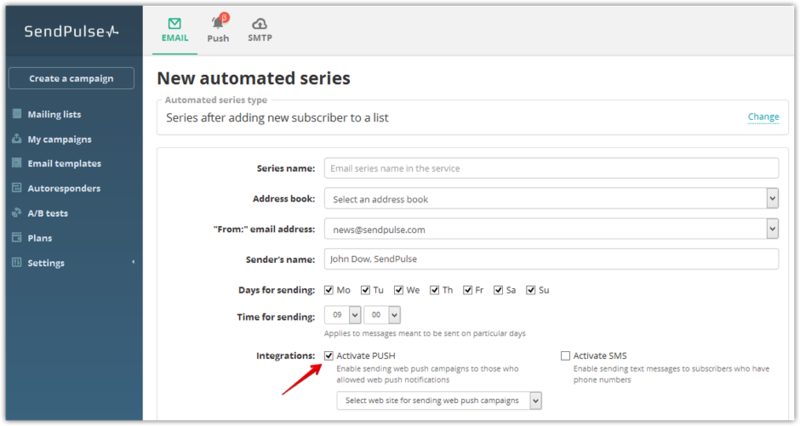 SendPulse also allow their clients to use all three channels altogether for maximum audience reach and user engagement. Other features include SMTP transactional services that give their clients the option to utilize a much faster service to send out bulk e-Mails from their servers via your software or website. Comparing this to other SMTP services, SendPulse provides them with the least amount of functionality restrictions. Having a very well integrated Artificial Intelligence (AI) platform that makes the best use of all the e-Mail subscribers leading to a maximized e-Mail open rate, and making it a very easy, automated experience. Creating user profiles based on the data gathered from subscribers and then employs predictive behaviour to generate emails and other form of communication with the best engagement potential. Automatic segmentation. 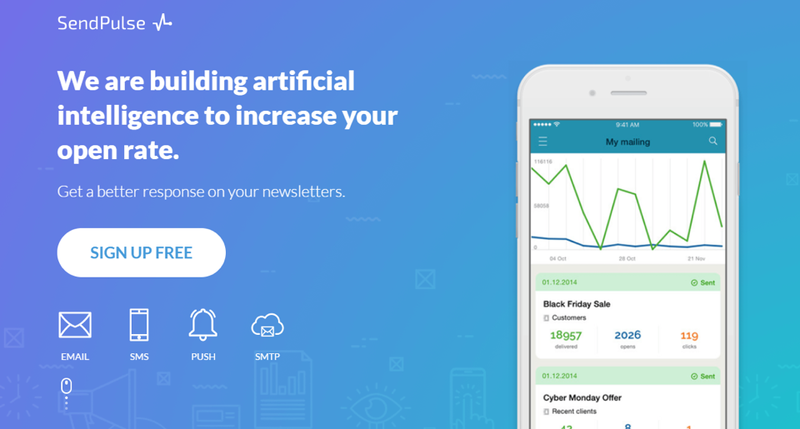 Helps to double users open rate and also increase user engagement when sending out newsletters/e-Mails with the help of AI. Prices for the service are by far the cheapest we have seen in a long time and beat all other services by not just quantity, but also quality. Providing personalization. This betters the user experience by allowing the customer the freedom to personalise things to their own comfort. It also allows them to experiment with different techniques and tactics to improve on their marketing and response rates. Mainly allowing them to utilize the 3 different channels simultaneously to reap maximum benefits. Great Customer Support. If clients have any enquiries, they can get in touch with the company through online chat, e-Mail and telephone support. Clients and reviews suggest that SendPulse have set a very good and quick standard of customer support, and always come through with the necessary help customers need with whatever problems they may be facing. Templates. SendPulse have an amazing collection of templates that you can use within your e-Mails to make them look as professional as possible. In addition, you can customize and create your own making it much easier to just use the same format you and your subscribers are comfortable with for other campaigns. This is one thing many competitors do not provide. 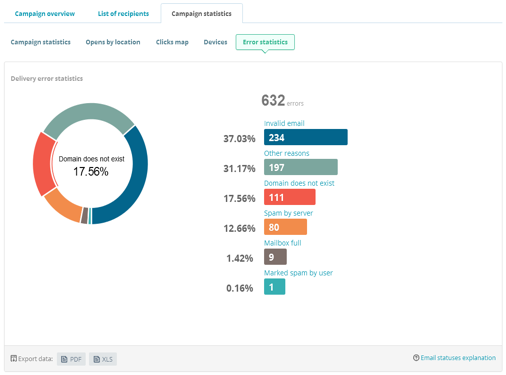 In-depth Campaign Statistics show a detailed outlay of all your campaigns success in graphs and pie charts to help you analyse the data much more efficiently. 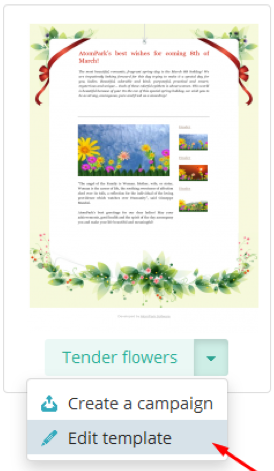 It displays the open rate, click through rate, and even the location from which a subscriber has opened the e-Mail/newsletter. It also displays error statistics and helps you pinpoint what went wrong so you know what to do differently for higher success rates. Free account and sign up until 2,500 Subscribers or 15,000 Monthly e-Mails. With digital marketing on the all time high, a service such as SendPulse is the service to get into and to engage with your subscribers via e-Mails. The benefits of such an automated service are many, for example, an increase in trust from subscribers, authenticity, and of course, what any business looks to aim for, increase in profits and sales. In addition, SendPulse has launched a Startup Accelerator Program that provides a $5,000 grant to all participants for e-Mail marketing development. It is without a doubt that SendPulse provides their users with more than what they bargain for and is a highly recommended service to employ for a great marketing strategy. SendPulse also keep their clients happy by constantly working on improving their services and AI technology so everyone can benefit from easy, and much more efficient increase of e-Mail open rates and general audience reach. For those of you that are interested, SendPulse comes in 4 different types of price payments; ‘Free’ for those who have less than 2,500 subscribers, ‘Monthly Subscription’ depending on how many subscribers you have, ‘Pay as You Go’ for those who don’t send many e-Mails can pay only for the e-Mails you need depending on how many messages you need, or ‘VIP Plan’ for those who have over 1 million subscribers can contact SendPulse’s Customer Care Team.